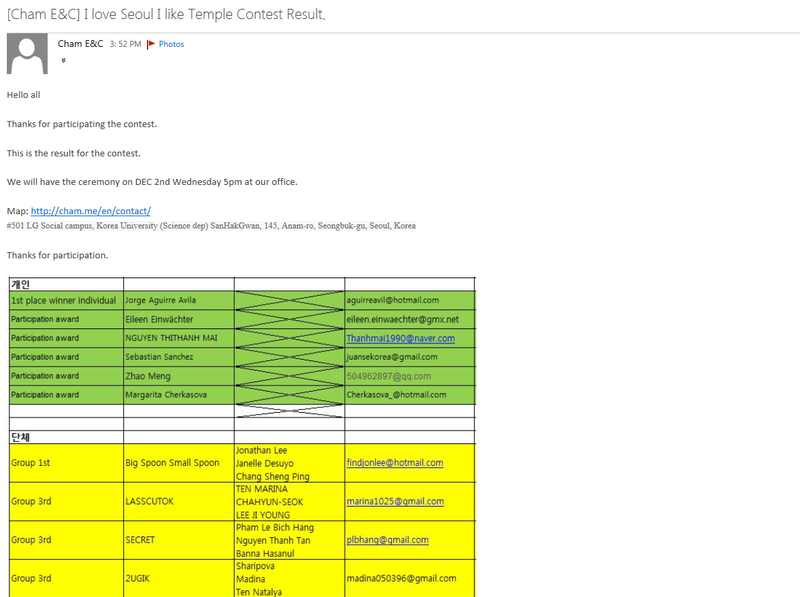 This video was made for the "I Love Seoul, I Like Temple" video competition. 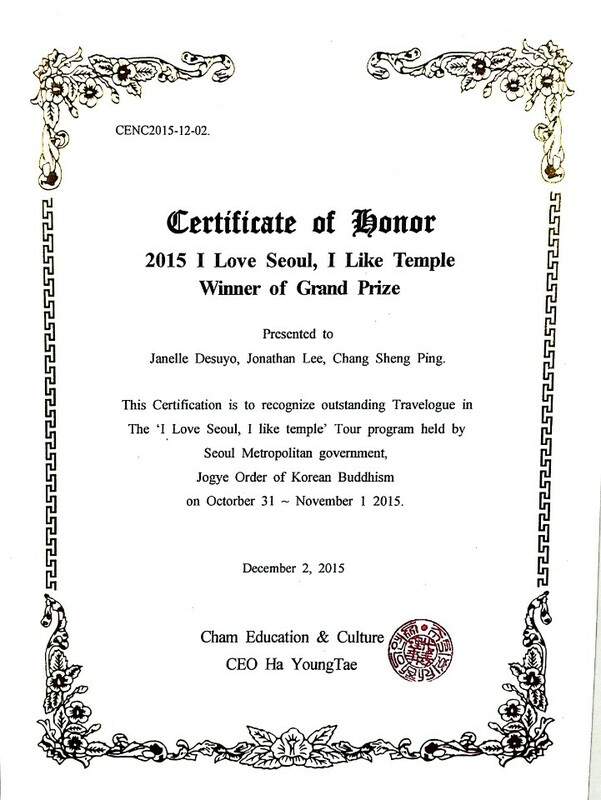 This video was filmed at Bongeunsa Temple and Jogyesa Temple. We hope that we were able to portray just a little glimpse of how immense an impact was made upon us through the history and culture of Korea. Held on every Thursday from 2 to 4 pm, the temple life program is available for foreign visitors. The program includes a temple tour, lotus lantern making, tea drinking ceremonies, and a chance to talk with a monk. All activities are conducted in English and visitors can take part in this program without reservations. The fee is 10,000won and all participants receive a souvenir. You can experience the calm and serene everyday life in a temple and this stay includes traditional Buddhist culture and practices such as daily dawn services, Korean Zen meditation, tea drinking ceremonies and a Buddhist meal with traditional bowls. There are two programs available: an overnight program and a short program that lasts 2 to 5 hours. For more information, you can contact (+82)02-3218-4895. For more videos, CLICK HERE to check out our channel! 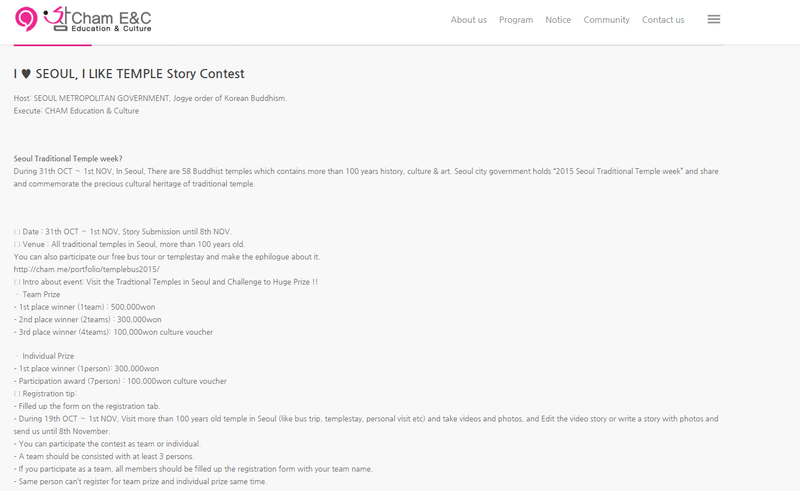 So J and I joined this video story contest when we joined their Temple Bus Tour. We went around to 2 different temples and we took a lot of videos just for the sake of joining this video. Glad to say that we entered into the competition, and we won first place! The first place for team videos is only given to one team and we get a prize money of 500,000W! I'm so proud of this project that I embarked on with J and I do hope it's just the beginning of many more to come!